Welcome to the Solomon Success Show! Listen in as Jason Hartman talks about the Ten Commandments of Successful Investing. Introduction: Welcome to the Solomon Success Show, where we explore the timeless wisdom of King Solomon and the Bible as it relates to business and investment, false profit, and get-rich-quick schemes are everywhere. Let’s not get distracted by these. Instead, let’s go the source: the eternal principles that create a life of peace, power, and prosperity. Here’s our host, Jason Hartman. Jason Hartman: Welcome to the Solomon Success Show: Biblical Wisdom for Business and Investing. This is your host, Jason Hartman, and on the show we will cover a whole bunch of topics as it relates to the wisdom in the Scriptures relating to business and investing. There’s a lot out there on this, but I don’t think there is enough on this topic. When we think of the Scriptures, we usually think about other areas his life, but when you look at what Solomon did, and his work and his contributions, of course, there is just a lot of wisdom and scriptures on this very topic of money of business, of investments, so what I’d like to do here initially to start, and we’ve got a whole bunch of guests coming up, interviews that we’ve recorded with various authors that have authored books on Solomon and his life and his contributions, but what I’d like to start with is really kind of a modified version of my Ten Commandments of Successful Investing, but apply it a little bit more to the Biblical side as the main would (connote) Ten Commandments, obviously, and apply it a little more to Solomon’s life. 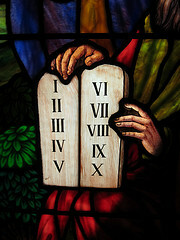 So the first of the Ten Commandments is that success comes with wisdom. We like to say in the investment side is “Thou shall become educated.” The key to wealth in Solomon’s case was wisdom. Proverbs 6:16 talks about how much better it is to get wisdom than gold. Wisdom was the gift that led to Solomon’s wealth. Wisdom and knowledge lead to wealth, and that is the prominent type of wealth that we can use for more successful life. It’s more important than riches because wisdom is eternal. God was the one who’d promised Solomon riches. In First Kings 3:5-14, as God was pleased with Solomon’s desire to seek after him, God had asked Solomon what he wanted from him, and Solomon asked for wisdom to govern God’s people. God was so impressed that he made a promise of wealth to him. Commandment number two: Have a mentor. Thou shall have a mentor. Without counsel, plans fail. But with many advisors, they succeed. Proverbs 15:22: Get good recommendations on investment advisors on financial planners. Christians will not give an honest appraisals necessary of their abilities when referring somebody not wanting to give a bad report about anybody. But this is not honest. We need to give an accurate report. We need to seek the right mentors the right counsel, the right investment counselors. Always use more than just one advisor including your spouse . Tell them to be as honest with you as they would want when the roles were reversed. So it’s just a golden rule. Number three. Thou shall maintain control. Never leave your financial future in the hands of somebody else. It is our responsibility. Our financial future’s obviously our responsibility. So one thing that happens when we sort of outsource, if you will, our financial future and our financial lives to somebody else is that we can fall prey to three major problems. The first problem, and I know we’ve all either experienced this or we’ve heard about it, hopefully we haven’t experienced it directly, we’ve all certainly heard about it in the investment world. Number one problem is we may be investing with someone who’s just playing crooked, who’s unethical, who’s greedy and who scams us in some way or another. Certainly there is no shortage of scams in any investment. I would say Wall Street is definitely the most guilty of this. It seems like we hear about a new stock market scandal everyday, don’t we? I mean if it’s Enron, WorldCom, Global Crossing, BroadCom, backdating of options, cooking the books. It’s an endless array of scams going on in this outsourced investments. We’ve got to be a direct investor. Because when we’re a direct investor, we maintain control of our investments and over our own financial future. It may not always work out perfectly, but maintaining control is our responsibility. We are the stewards of our own wealth and our own production and our own productivity. So we must maintain control. The second problem we run into when we delegate this authority or this control to somebody else, not being a direct investor is that we may be investing with someone who’s just pain incompetent. So the first problem is they may be a crook. The second problem is that they may just be incompetent, and we lose money and we have a bad experience because of their stupidity, their incompetence. And we don’t want that. The third problem is, let’s assume they’re honest and ethical. Let’s assume they’re competent and skilled, and they apply this competence and skill and wisdom to our investments, so soon we’ve passed those two hurdles, but what is the third problem? Well, the third problem is they take a very large management fee off the top for managing the investment, don’t they? I mean think about it. Look at what goes on inside of big corporations, investment houses, brokerage firms, investment bankers. They may be honest, they may be competent, but they’re taking giant salaries. They’re taking giant bonuses. I mean anyone who’s been following Goldman Sachs, every single year at Goldman Sachs, at JP Morgan, at Merrill Lynch, all of the other Wall Street firms. Even if the level of each individual corporation, they’re taking giant paychecks while the investors are having very mediocre or terrible returns and terrible experiences. And I’ll just give you one example. Larry Olson, the founder and CEO of Oracle. We’ve certainly all heard of Oracle, huge company from 2000-2002, and these aren’t exact numbers because I don’t have these in front of me, but they’re very close, from 2000-2002, Larry Olson’s personal take from Oracle was, I believe, around $760 million. Think about it, folks. That’s almost a billion dollars in a short two-year time period, not too bad. A billion dollars almost in two years. Yet, in that very same time period, the people who put their faith, who outsourced to relinquish control to Oracle by buying their stock lost about 60% of their money in that stock. Now, that’s completely legal, technically. But to me, it’s criminal. It really is criminal. So we’ve got to maintain control. Solomon would say maintain control of our investments. Number 4: Thou shall use prudent financial planning techniques. Thou shall use ethical investing techniques with investing. So, I talked about Wall Street in that last example about maintaining control, about being a direct investor. Well, we’ve also gotta realize that the one thing we can, I think, learn from the Wall Street firms, is that financial planning is a legitimate art and science. The problem is they apply it to an outsourced investment, or we relinquish control to somebody else and leave ourselves susceptible to those three major problems. But what if we could apply financial planning techniques to investments we control. Things that we maintain control of or we don’t leave ourselves susceptible to those three major problems, where we are investing in an ethical manner or we’re providing a service to society or we’re providing something that society actually needs. And Ecclesiastes 12:13 talks about in the end of the matter, all has been heard, fear God and keep his commandments for this is the duty of man. So apply that to investments, and apply it to the ethics of investing. So when we think of it, we’ve got to be ethical in our own deeds, in our own investing, but we’ve also gotta make sure that we’re not supporting unethical behavior, and when we outsource our investments, when we relinquish control to somebody else, we’ve got to all ask ourselves, what sort of unethical behavior are we supporting because we are voting with our pocketbooks, with our bank accounts, with our wealth, aren’t we? There are investments that can yield high rates return with little or no risk. Now, really? You can never really say no risk because everything implies some degree of risk. At the very least, it’s inflation and tax risk. The difficulty is that when we outsource, these people prey off the weaknesses of others, Christians and people following the Bible, Jews and Christians, need to consider not investing in any () mutual fund. That would be deemed socially irresponsible or socially unethical. Number 5: Thou shall not gamble. Well, surely any Scripture would not recommend gambling, would it? We reduce our risk, we maximize returns by investing in prudent investments, or we are not waiting for something spectacular or unusual to occur. You look at this in the stock market, you look at this in the speculative areas and commodities, you look at this in the real estate market. Certainly we see people losing fortunes all the time, squandering their money because they’re taking gambles. They’re expecting something to happen that caused them to buy an investment that did not make sense from day one. So what we say, especially when we’re talking about investing in income properties, we say that the investment must make sense from day one, from a cash flow perspective, or you don’t buy it. So when you look at this in the income property, in the real estate market, the speculators, the flippers, when you look at them in the precious metals world, precious metals don’t produce income. They don’t produce tax benefits. They are purely speculative. When you look at people who buy vacant land for example, a very speculative investment, property or investments of any kind must produce income. If it’s a stock, it must be dividend-paying stock rather than a stock or buying just for capital appreciation. Because when we buy for capital appreciation in any asset class, we are essentially a gambler. We are essentially looking forward to a get-rich-quick scheme. We’re a speculator, and that is not prudent. That is gambling. now if one wants to apply a very small percentage of their portfolio to risk capital, maybe 10% depending on their level of wealth and their level of savings, it can be done, but again, this should not be the mainstay of any investment plan. Number 6: Thou shall diversify. When you look at diversification, Solomon wrote, “Give a portion to seventh or even to eighth for you know not what disaster may happen on earth.” And that’s Ecclesiastes 11:2. We’ve got to diversify. When we talk about income property investing, one of the things I like to say is, “All real estate is local.” It’s an old saying, but diversified geographically, take the most historically proven asset class and diversified geographically into different areas. And Solomon certainly would have agreed with that. Number 7: Thou shall be area-agnostic. While we’re using the word agnostic, when we’re talking about Scripture. But if you think about it, don’t be attached to anyone’s geographical area, and don’t be attached to anyone’s stock, don’t be attached to anyone’s commodity necessarily. Be agnostic enough to see the big picture. Avoid conflicts of interests by investing with any adviser who is not area-agnostic. As the old saying goes, “Has a one-trick pony can only offer you that?” If you go into the typical investment firm, you’re looking at stocks, bonds, and mutual funds. And I don’t know about you, but I don’t know a single person who is a non-insider who’s ever created any real wealth, or had any real success with that type of investing in those relinquished control outsourced paper investments, those tradable investments, stocks, bonds, mutual funds, annuities, etc. Yet I know many people who’ve created a lot of wealth in a socially responsible investment by providing something that people really need, and that is simple, basic housing in diverse markets nationwide or worldwide for that matter. So thou shall be area-agnostic. That’s number 7. Number 8: Thou shall borrow to maximize leverage or reduce risk and accelerate wealth creation. Now, I know there is a lot of resistance that a Christian will have when thinking about the concept of debt because debt and money changers and all that stuff is written about in the Scripture over and over. But what we’ve got to realize is that in the modern world, in the modern financial system, it’s all basically, at some level or another, a smoke and mirrors game. It is, to some extent, a scam. It is, to some extent, a Ponzi scheme. And the rules have changed. And they really started changing in a major way back in 1971. Well, what happened in 1971? Well, good old Richard Nixon took us off the gold standard, and America had the reserved currency of the world and still does at least for the time being, but when we came off the gold standard, we started to see a real and a very significant and a rather quick, if you look at it over the course of a short-term of history, destruction of the value of our dollar. And remember, the destruction of the value of the dollar, or otherwise known as inflation, causes us to lose value in any dollar-denominated asset. The dollar is what is known as a fiat currency. It isn’t backed by anything real except faith. And, since it’s just paper and ink, if you look at every fiat currency, and fiat, by the way, means by authority, by decree, meaning it has value because someone said so, because a government said so, because the federal reserves said so. When it is fiat, every fiat currency in history has ultimately descended in value to the value of its actual commodity value. And what is that? That is simply paper and ink. In the Weimar Republic in Germany, it became more valuable to burn the marks than it was to actually exchange them for firewood. If you type the word “inflation” into Wikipedia, you will see a picture of a woman burning currency instead of buying firewood with it because the heat that the paper currency would generate was actually more valuable, and again, that’s just kindling, it’s just paper than the actual firework you can trade it for. So we’ve got to think differently about the way we relate to debt. Because the rules of the game have changed. And a lot of it relates to gold, and on our future shows, we will talk about gold. Now, I don’t think gold is a very good investment. I think it’s a defensive strategy. I don’t think it’s an offensive strategy to create wealth. And so, we’ll talk about gold, silver, platinum, palladium, and the metals on future shows quite extensively, and we’ve already recorded some of those shows, but as it relates to commandment number 8 about borrowing and about a new relationship with debt, what I want you to really understand and internalize at a deep level is that inflation, the destruction of the value of our dollars, it destroys the value of our stocks, our bonds, our savings, our equity in real estate. That’s an interesting one because most people view real estate as a hedge against inflation. Well, it is, and it isn’t, and I’ll explain that in a moment. But it also destroys, thankfully, very thankfully, the value of our debt. So in an inflationary environment, as long as we have long-term prudent fixed rate investment grade debt tied to what I call “packaged commodities”, and these are usually in the form of little houses, maybe an apartment building, maybe a mobile home park, something that has universal need and that’s the next commandment, by the way, number 9. As long as we have this long-term fixed rate debt in a sensible, prudent manner tied to these packaged commodities, and think about it, what are the ingredients of a house or rental property, well, think about what their ingredients are. There are lumber, labor, concrete, copper wire, glass, steel, petroleum products, energy. Takes a lot of energy to build a house, doesn’t it? Takes a lot of petroleum products. Think about all the insulation in the wires, the insulation in the attic, the insulation in the walls. There’s lots and lots of petroleum or oil products going into the construction of a house. All these other ingredients, these are all commodities that are created on a global level, and these commodities are not indexed necessarily or tied to dollars, are they? Because they have universal value, and housing has universal need, which is our next commandment. So when we tie long-term fixed rate investment grade debt to these packaged commodities, we are actually beating the system, aren’t we? Because with the way our government is spending so irresponsibly, and with the way it is going to be spending in the future because of all the entitlements and all the expectations and all the promises our government has made. And all of the politicians who have spent decades building careers by buying votes, by giving money to people, by weakening people, through this welfare, by making them lesser people and making them dependent on government, so that they can ensure of voting block. Well, I don’t want to get too political on you, but these are the facts. This is the way it is. So debt actually becomes a very prudent strategy for anybody who is following Biblical wisdom. I know that may seem counterintuitive, and we’ll talk about it more in future shows. But let me move on now. Let me move on to commandment number 9. And that is: Thou shall only investment where there is universal need. If you think about it, nobody actually really needs stocks, bonds, gold, or silver. But everybody needs a place to live, and with a growing affluence, and yes, I did say growing affluence, even in the midst of the worst global economy in seven decades, when you look around the world, there is a rising middle class. You look at China, you look at India, you look at Brazil, and many, many other countries. The world is actually still, relatively speaking, if you look at it in a period of history, 10, 20, 30, 40, certainly a hundred years ago, the world is prospering. And I say that, I know it’s a bold statement in the midst of the worst economy in seven decades, the one we are in right now, with this growing affluence around the globe, the consumption of raw materials of these commodities, these ingredients that build houses, that build improved real estate, that build apartment buildings, consumption is increasing, population is increasing, both in the US and abroad. If you think about it, if you look at the outsourcing trend that has gone on for a couple of decades now, you look at the fact that they outsource the call centers to India. I mean, think about it, have you called tech support line lately? Well, you’ve very likely talked to someone in India or the Philippines, didn’t you? They can outsource manufacturing to China. Certainly America has been largely gutted in terms of its manufacturing base. I think that is a very bad thing, overall. But it’s a fact of life. They can outsource the call centers to India and Philippines. They can outsource the manufacturing to China. They can outsource a lot of the accounting and legal work to India and the Philippines. I mean, it’s amazing to me that major American law firms are using people in India, and major American tax firms are using people in India to do a lot of their work, and they are arbitraging the difference in pay, in lifestyle, in currencies, but at the end of the day, everybody needs a place to live. And the fact of the matter is, in the United States of America, and of course, around the world, the population is increasing rather dramatically. They say that in the next thirty years, we’ll add a hundred million people to the US population worth 308 million people now. The population is increasing dramatically, both through birth rate and immigration in the United States. Fortune 1000 companies are telling their workers to go work out of their house because they don’t want to pay for office space. No one needs office space. No one needs industrial buildings. No one needs as much as we’ve had, I should say, in all these cases, as many shopping centers or retail properties because that is largely outsourced to the internet, isn’t it? But everyone needs a place to live, and that is why I say commandment number 9: Thou shall only invest where there is universal need because everybody needs three basic things. What are they? You already know what I’m going to say, don’t you? Food, clothing, and, you guessed it, shelter. Let them rent that shelter from you. That is a socially, responsible form of investing. That is a socially responsible asset class, rather than a smoke and mirrors game of a paper asset of a Wall Street asset or a speculation. Number 10: Thou shall only invest in tax-favored assets. And this is the final commandment because taxes are the single, largest expense any of us have in our lives, aren’t they? And it is the responsible, it is the patriotic thing to do what our government is incentivizing us to do. They’re incentivizing us to provide housing to people, to provide rental housing to people. And that is the reason that income property is by far the most tax-favored asset in America. It is amazing to me, folks, how people will spend hours, days, weeks, and even months, shopping around for a better deal on a new car or a new big screen TV, yet they won’t spend any time learning about how to save money on life’s single largest expense, T-A-X, tax. We have got to lower our tax bill. We have got to do it in a responsible, ethical, and of course, legal manner, by doing what our government incentivizes us to do, provide housing to people. And that is why income property is the most tax-favored asset in America. So those are the Ten Commandments, and they’re applied to the wisest and probably, I think, the richest man who ever lived, and who probably ever will live because if you adjust Solomon’s wealth for inflation, he is definitely a very, very rich man. So we can learn a lot from his wisdom. Now, we published our newsletter called the Solomon’s Success Newsletter, and what I’d like to do is just play you a little audio clip from one of the Solomon’s Success articles, and we’ll close with that and our next episode, we will have a great guest. We’ve interviewed quite a few guests for the show already, and we have a lot more to come on our list that we will get on the show to talk about Biblical wisdom for business and for investing, so we’ll talk on future shows about home-based businesses, businesses that allow you to spend more time with your family, allow you the freedom to do what you want to do. We’ll talk about internet businesses, home-based businesses, and great things like that, and we’ll talk about investing through the most historically proven wealth creators, and that will be on our future episodes, so listen to this little clip from our Solomon’s Success newsletter, and we look forward to seeing you on the next episode of The Solomon’s Success Show. Thanks for listening. Financial management by the Bible. What does the Bible tell us about financial management? As it turns out, quite a bit. The Book of Proverbs is frequently referred to as The Businessman’s Bible because of its timeless wisdom and principles. Proverbs 21:5 reveals, “The plans of the diligent lead surely to plenty, but those of everyone who is hasty surely to poverty.” This passage is in an eternal exhortation to carry out our plans in a thoughtful, deliberate manner. Don’t be in a rush to get things done quickly or find a shortcut that turns out to be a disaster in waiting. Remember the definition of diligence? At Solomon’s Success, we think that diligence as the quiet and steady perseverance, especially in detail or exactness. This exhortation in proverbs reminds us to take our time, do the proper research, explore the options and don’t skimp on the details just because they’re time-consuming. In a society dedicated to haste, waste, and haphazard results, the financial management of your portfolio will surely show the fruits of your labor when you give it the time it deserves. Diligence also means not to blindly trust others, with the responsibility of understanding your investments. The Solomon’s Success choice for creating the kind of scrupulous wealth you have spent your life dreaming about is income property. This is where you own a home and rent it out to tenants. From Biblical times straight through to modern day life, land ownership has been the path to financial security. For this particular thing, this season seems to never end. Better still, real estate ownership allows you to remove intermediaries and middlemen who frequently impose considerable fees, so you can keep more money in your pocket. We think this season for long-term investing is now. Action item, take yourself out of the rat race for a few moments, and think through your long-term goals. Think about the kind of things you will need to do in order to achieve those goals, and immediately begin making those changes to produce long-term results.